Queen duvet cover (88" x 88") featuring the image "Arched Doorway By Kim Chernecky" by Kim Chernecky. Our soft microfiber duvet covers are hand sewn and include a hidden zipper for easy washing and assembly. Your selected image is printed on the top surface with a soft white surface underneath. All duvet covers are machine washable with cold water and a mild detergent. There are no comments for Arched Doorway By Kim Chernecky. Click here to post the first comment. 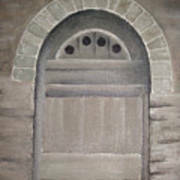 This painting is of an old, ancient doorway in an ancient village. 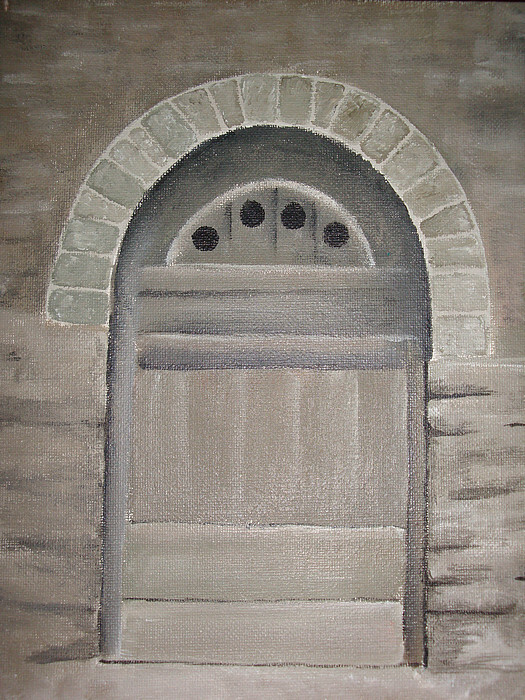 The wood has faded to gray and is surrounded by stone and brick in a variety of shades of gray. Kim Chernecky comes from a long line of artists and musicians. 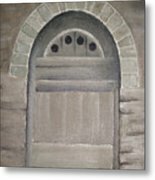 An author and self-taught artist, Chernecky loves working in all mediums, including acrylics, watercolor, textiles, mixed media, altered art, sculpting, and photography. Her love of nature, color, and texture is evident in all aspects of her work. She has a particular passion for creating art from non-traditional materials and is easily lost in her projects.